So here we are heading towards the end of another month, looks like 2016 is going to fly in too!! The end of the month means that I’ve finished another group of girls. There was no theme to the February Girls, which I quite like, so they’re just a mix of what was going on in my head!! First up is Amethyst, the amethyst is the birthstone for February so I thought that would be a good way to start off the month. 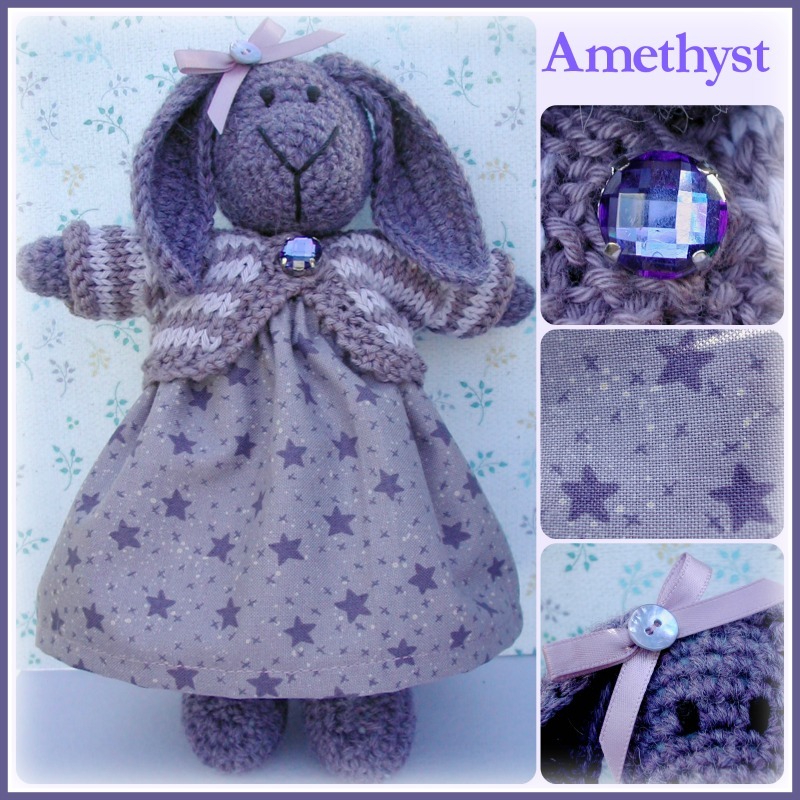 Amethyst is of course the colour of her namesake. 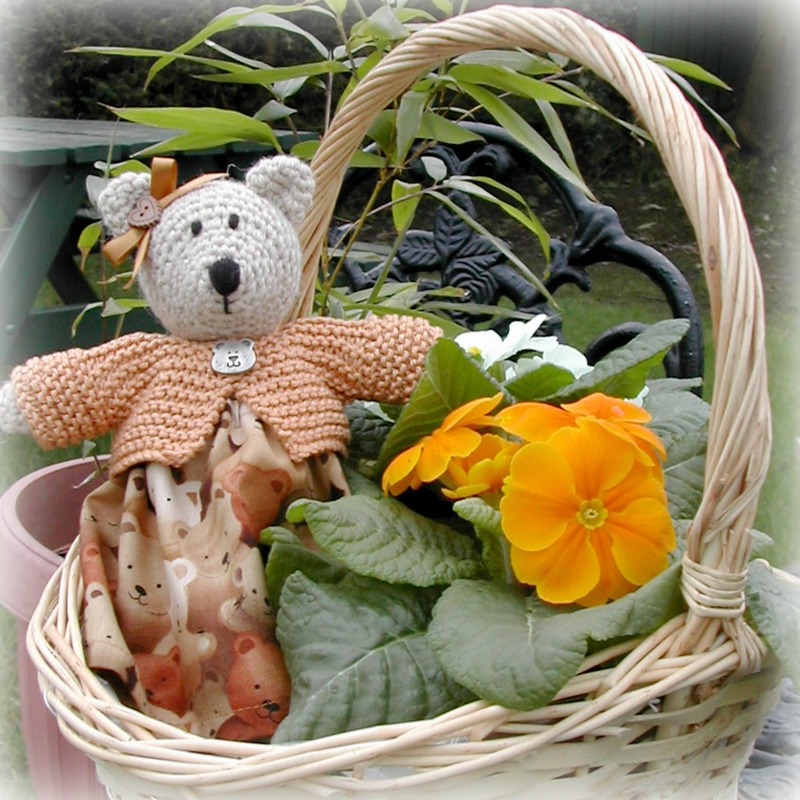 The second February Girl is a little bear who is covered in little bears and I’ve named her Bliss. 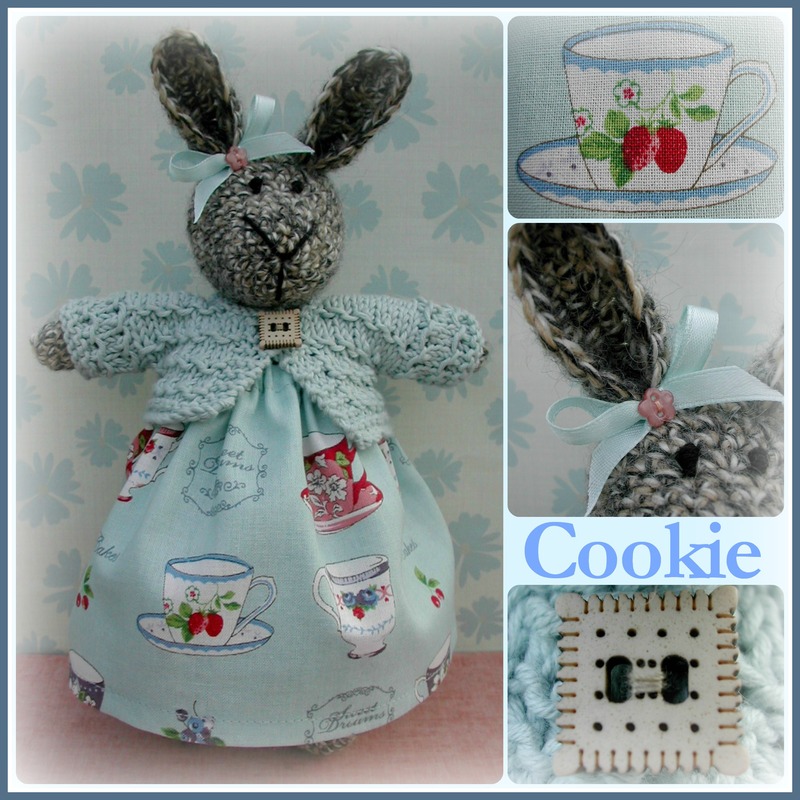 Number three of the February Girls is Cookie and she’s a tea and biscuits kind of girl! She has enough teacups on her dress for a tea party and she even has a little biscuit fastening her cardie. 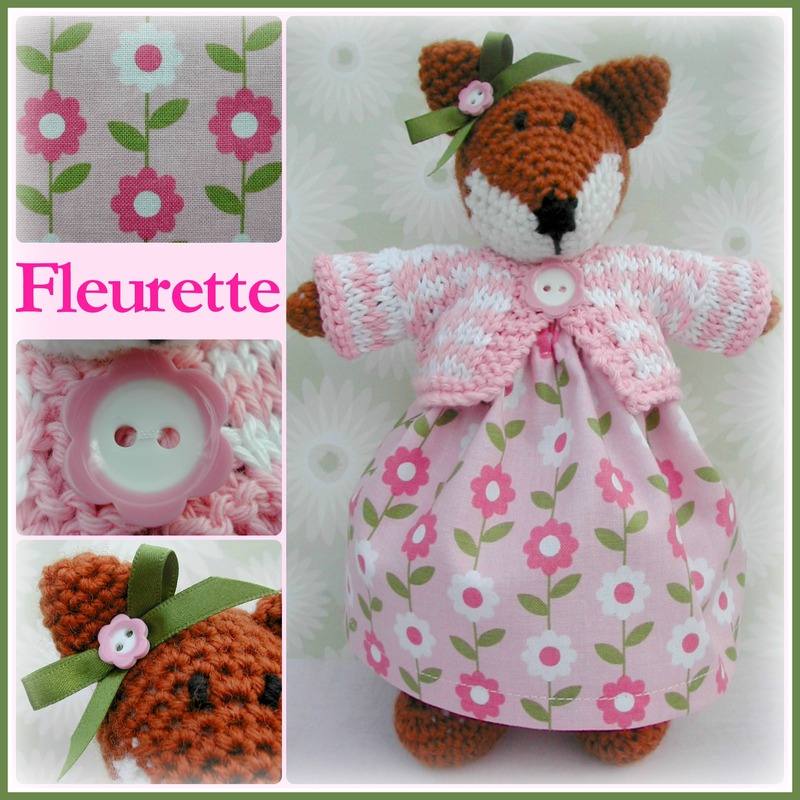 This month’s fox is Fleurette which means ‘little flower’ and I’m sure you can see why. 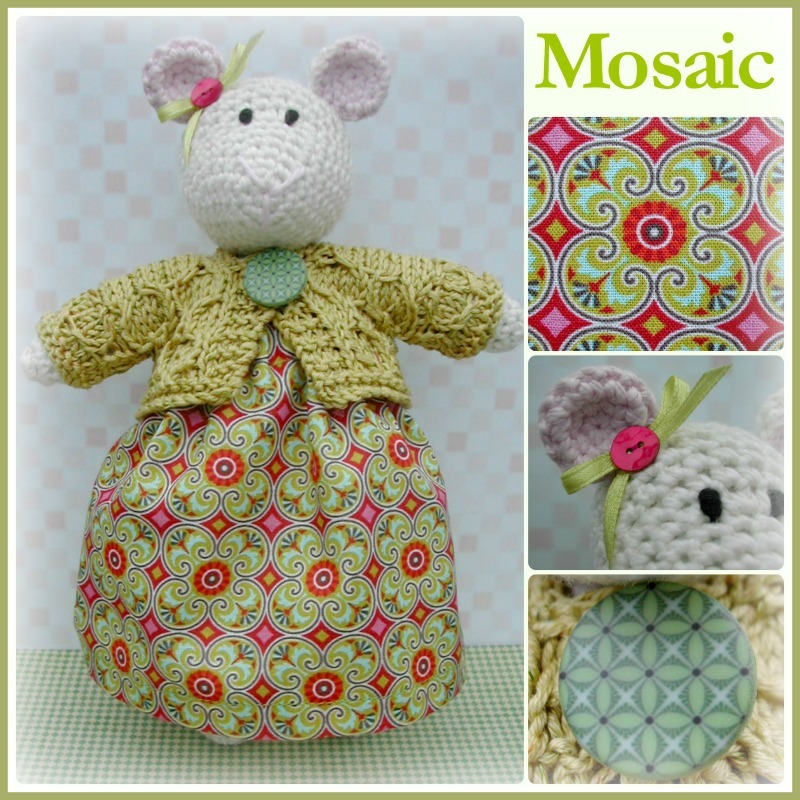 This is Mosaic the mouse and her name was inspired by the fabric of her dress. 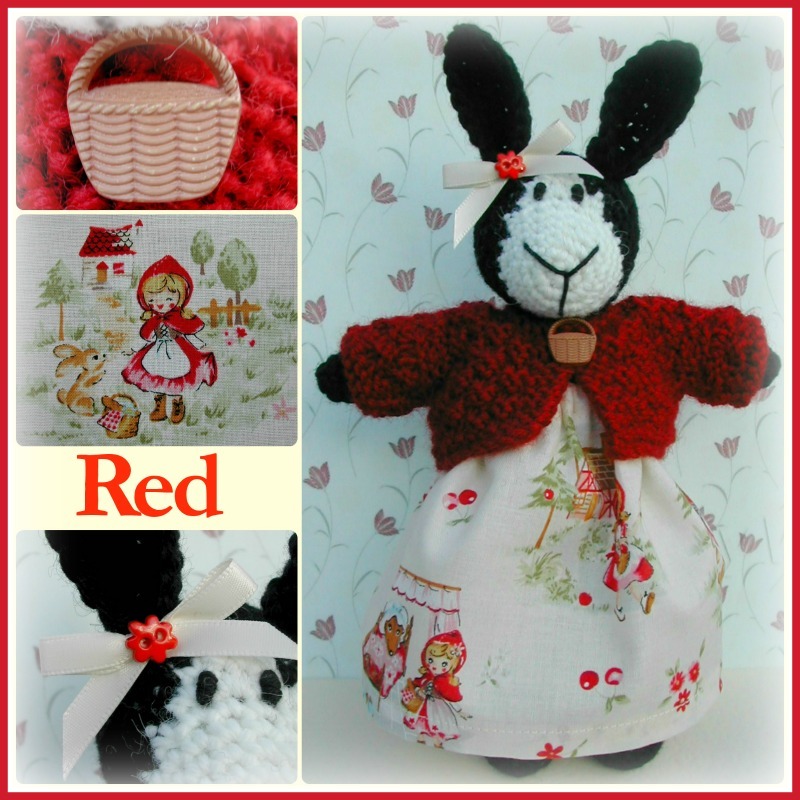 The sixth and final February Girl has the story of Little Red Riding Hood all over her dress and with a little basket fastening her red cardie she really couldn’t be called anything else other than Red! So that’s the girls for this month, they will all be listed in my Etsy shop on Wednesday 24th February at 10pm (GMT). Please remember that they are collectible items only and not suitable for children under 14 years. 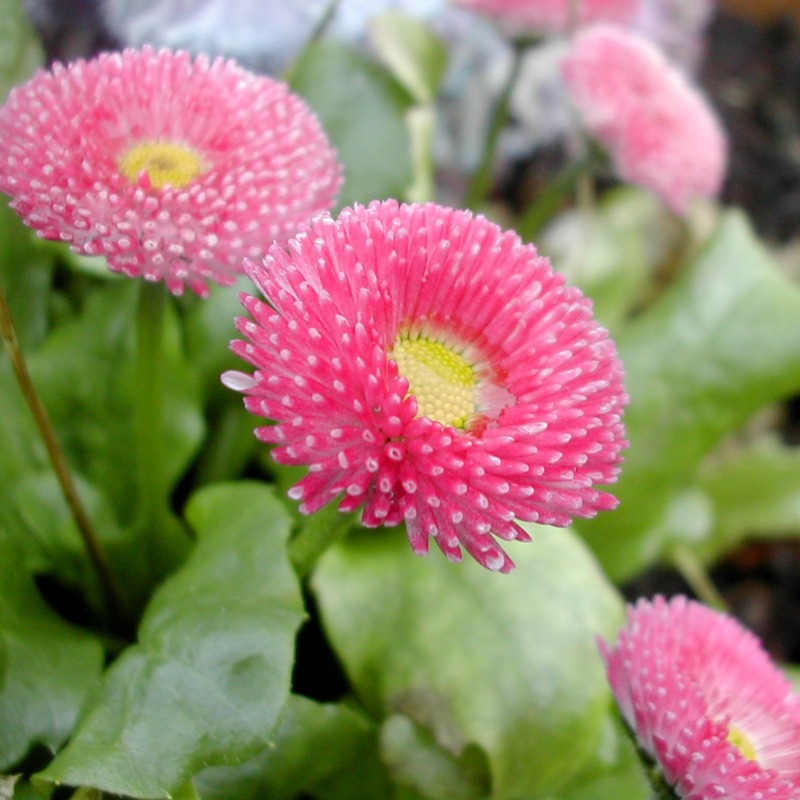 More information can be found about them here. We were very lucky yesterday as we managed to escape the wrath of storm Imogen as she wreaked havoc in the southern parts of the UK, these things usually don’t pass us by but this time we were fortunate. I do hope all you lovely people in the south are safe and sound. We actually had quite a nice day with some sunshine, it was even OK to spend some time outside in the garden without a coat. 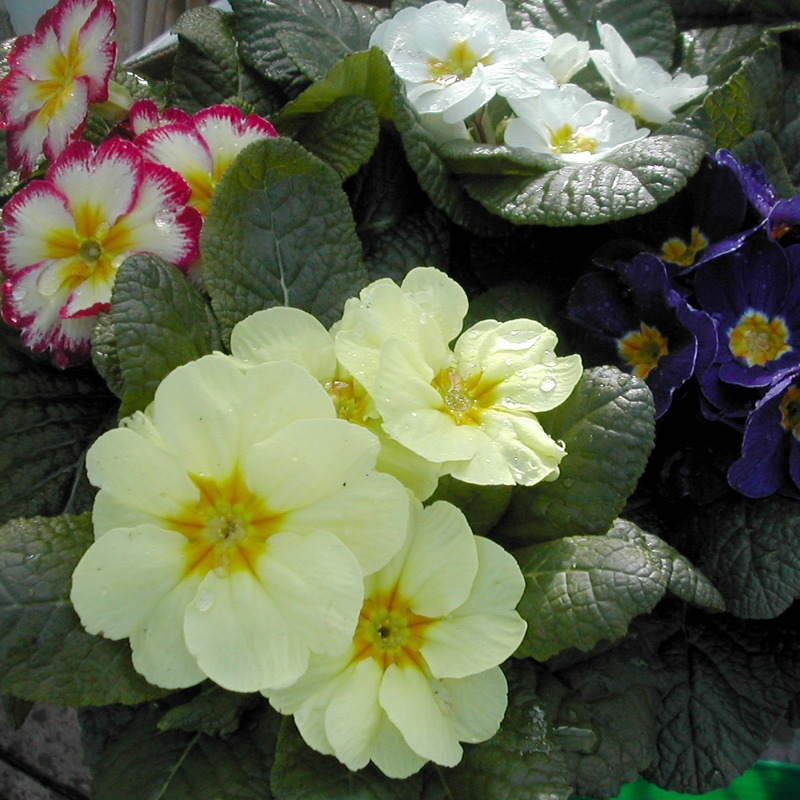 I used my time wisely and potted up my window boxes with some pretty primroses that I had bought at the weekend. 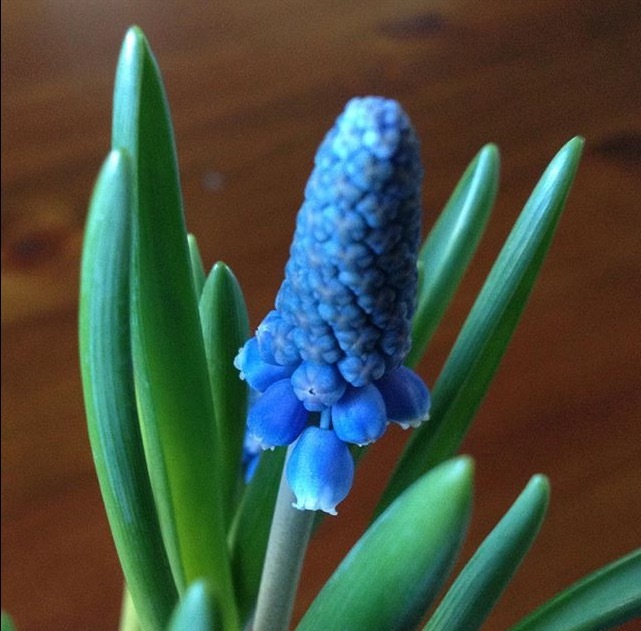 I do love these beautiful little flowers. 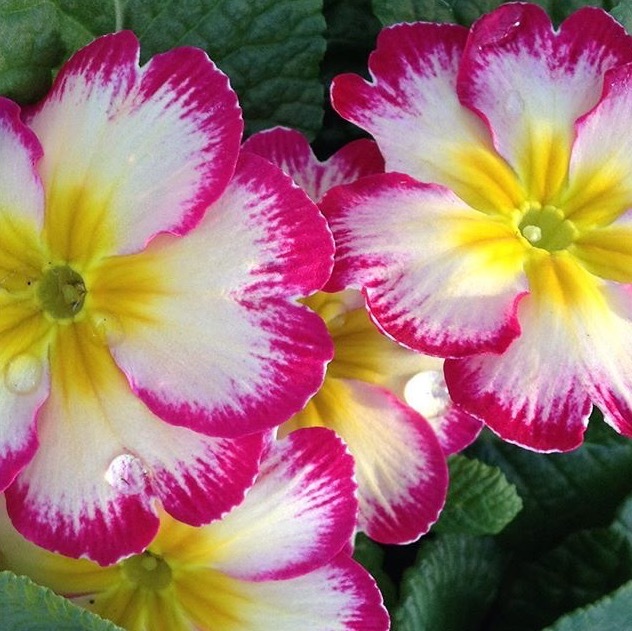 They’re a real blast of colour at this time of the year. 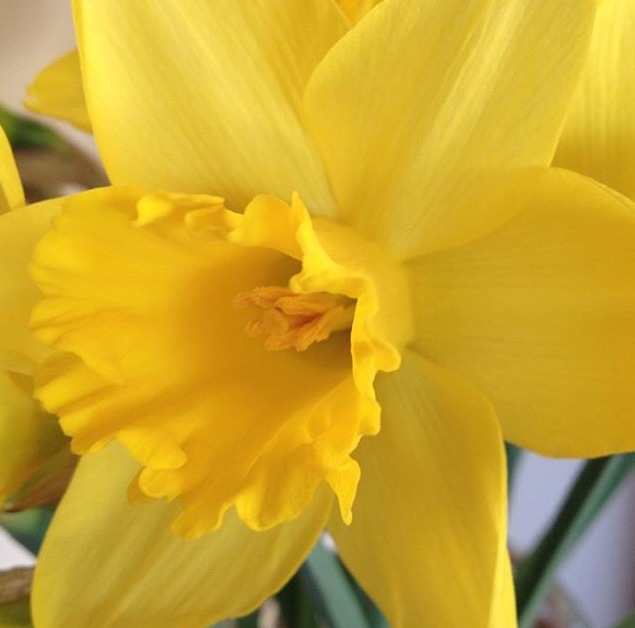 This little beauty appeared over the weekend….my first garden daffodil! 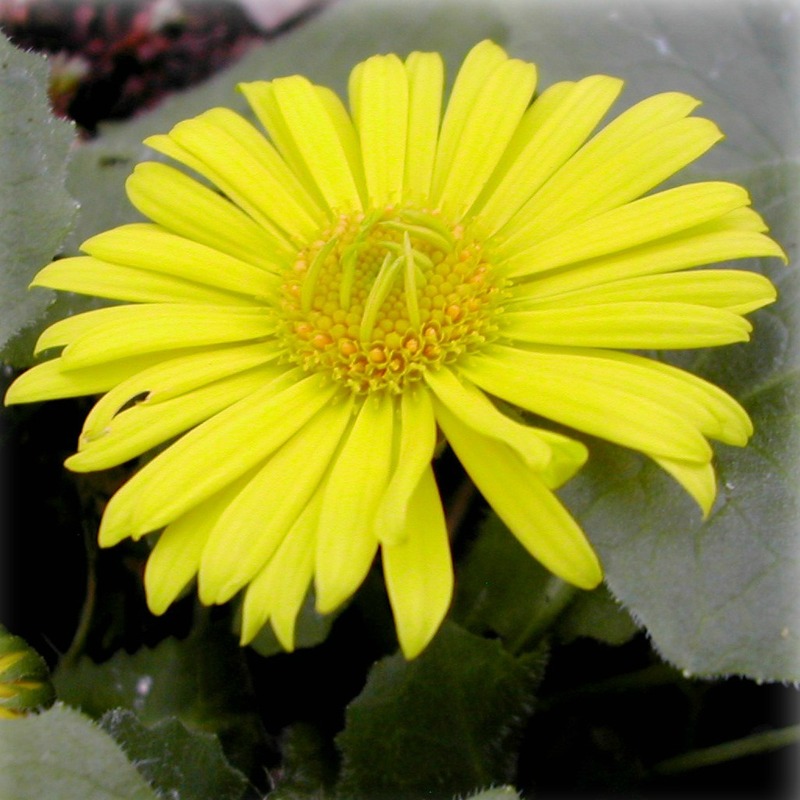 Lots of brightness for the not-so-good days too! And the prospect of more pretties to come. 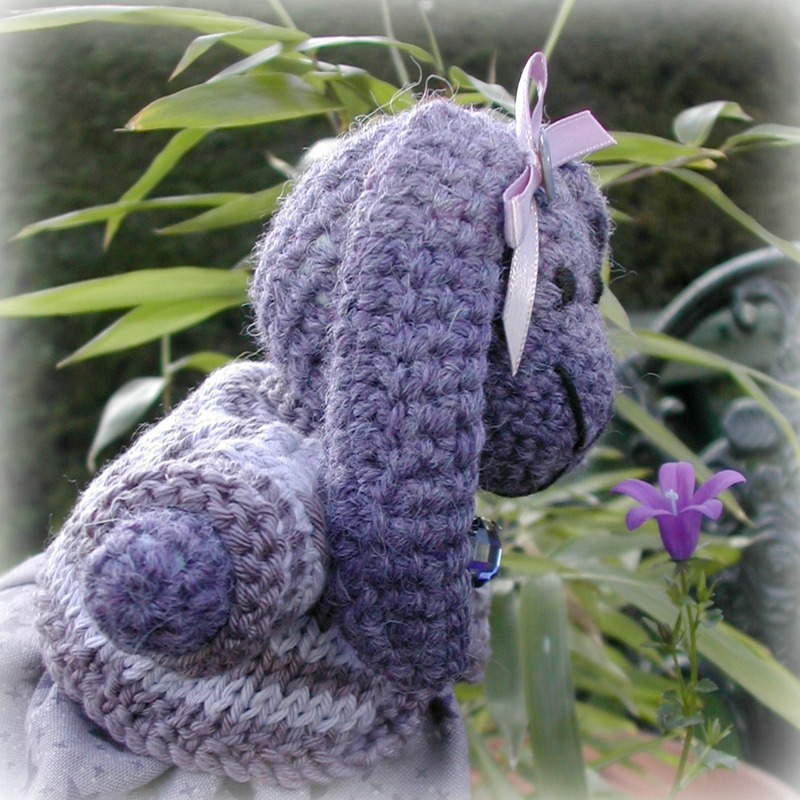 I even had a little help in the garden from Amethyst…………. …………..and Bliss, the first two February Girls! 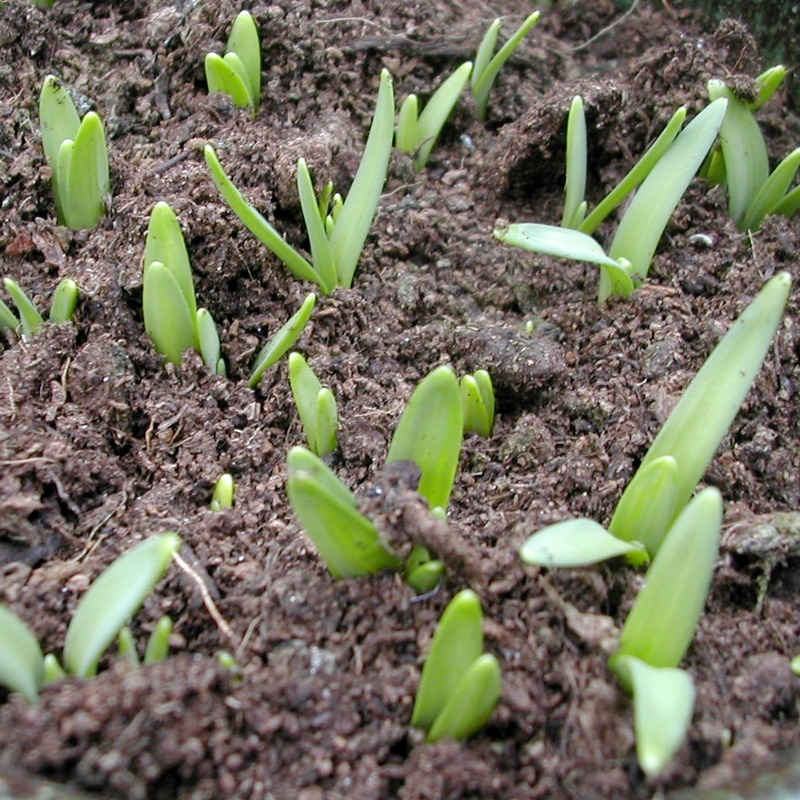 Today also looks like it’s going to be OK for a bit more gardening and then of course some pancakes later! Thanks as always for dropping by and for leaving your lovely comments. 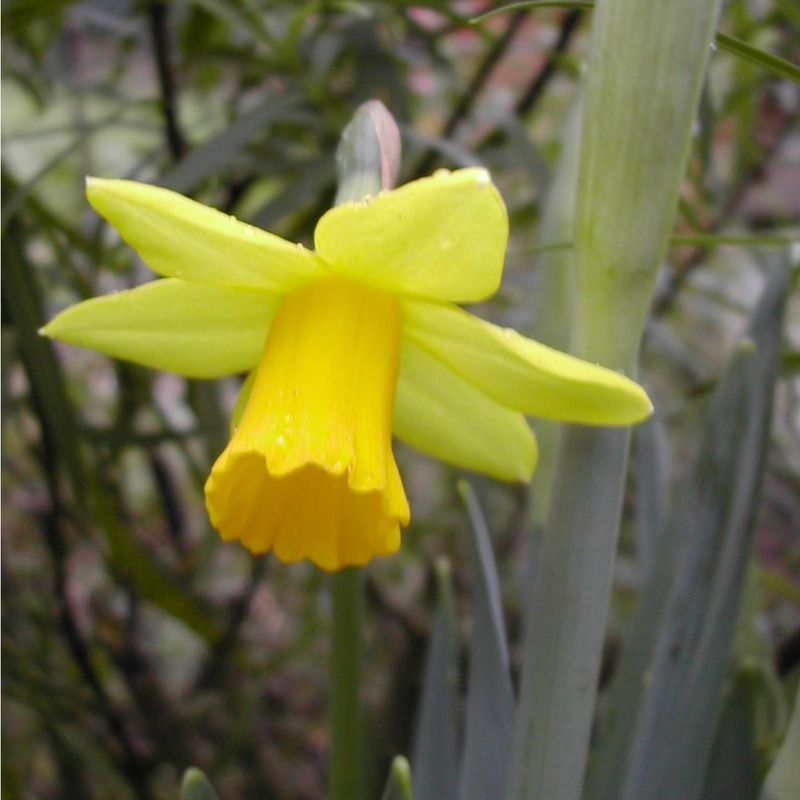 Its amazing to believe that we are now in the last week of January, I have of course spent the month thinking of and searching for spring. In the house I’ve been in spring cleaning mode and outside I’ve been looking for buds and shoots. 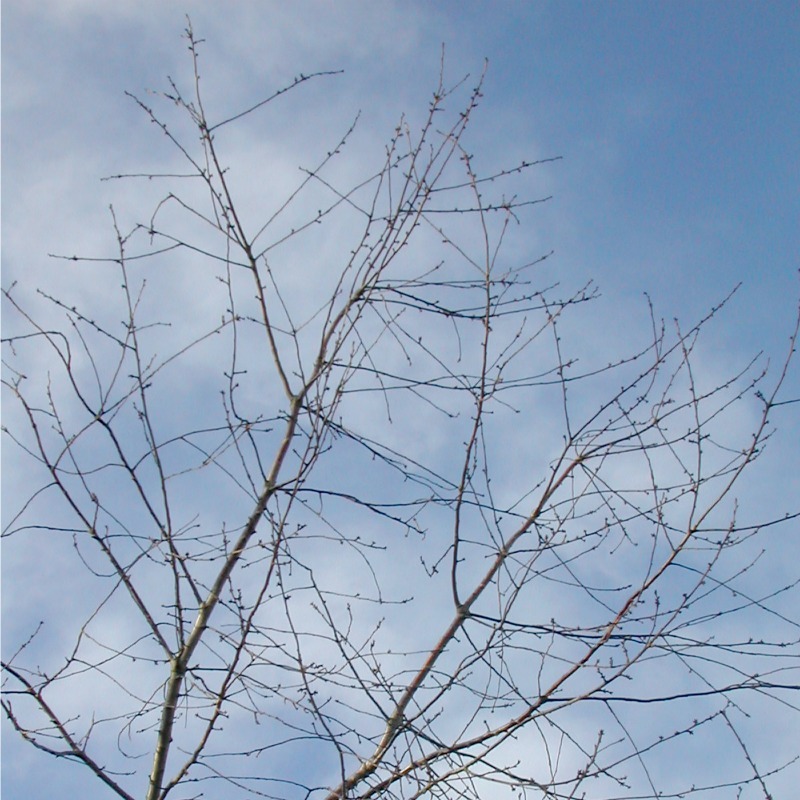 There have been some lovely days when I’ve been able to take photos like the one above with blue skies and buds on the cherry tree there has also been some snow, no photos of that though as I’m pretending it didn’t happen, that really doesn’t fit in with my pre-spring theory! 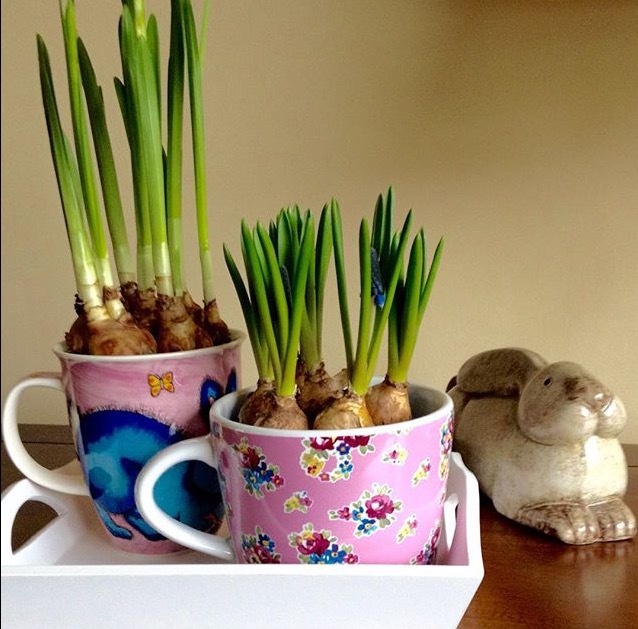 I’ve been filling the house with spring flowers ……..
It’s lovely to have these little pots of happiness at this time of year. 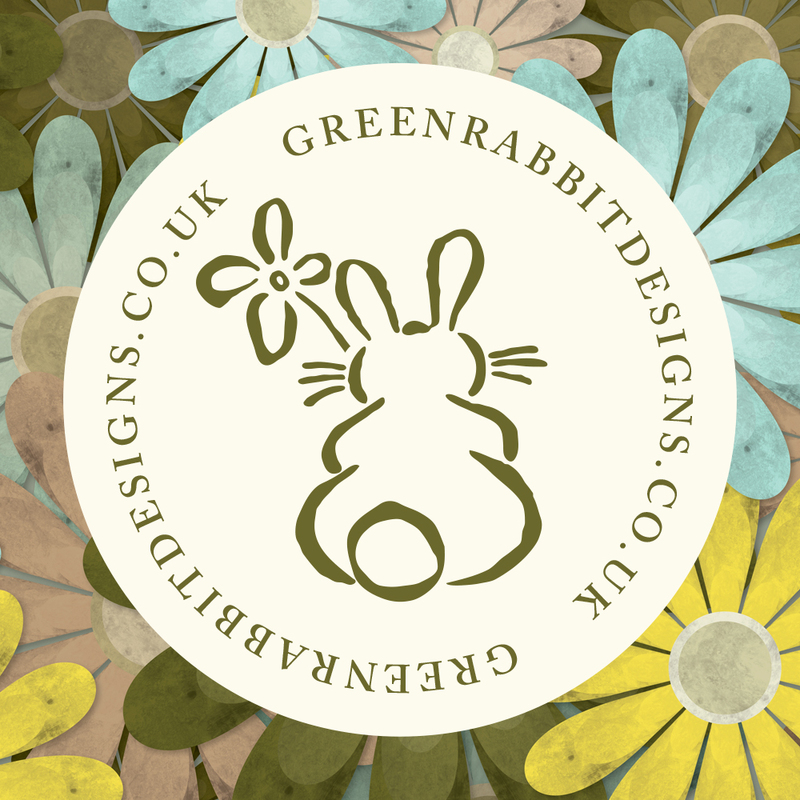 January hasn’t all been about cleaning and bud finding though, I have managed to squeeze in a few little animals too! 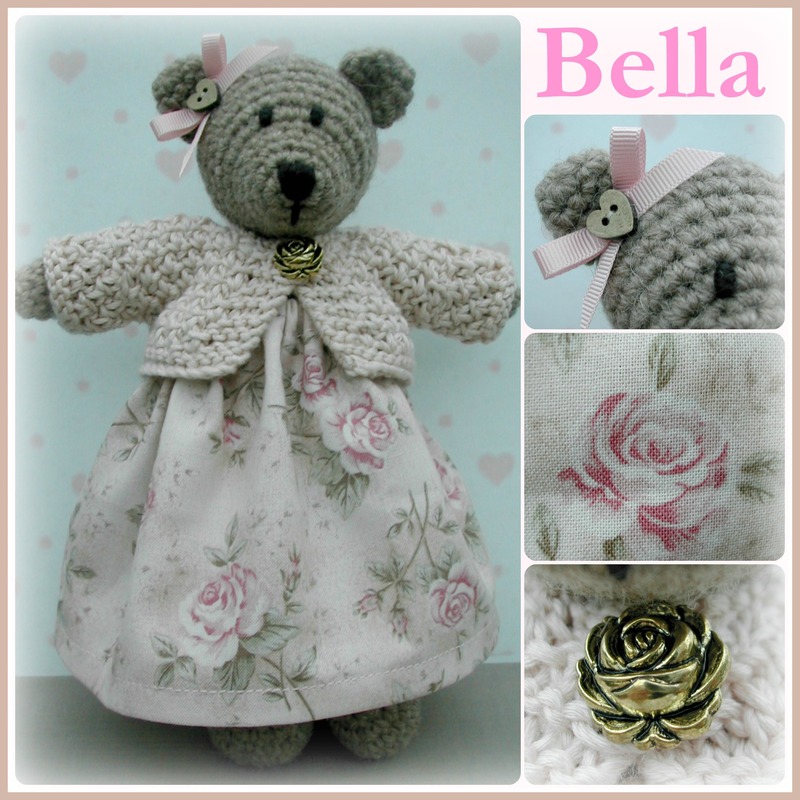 Bella, whose name means ‘beautiful’, is my first little bear. 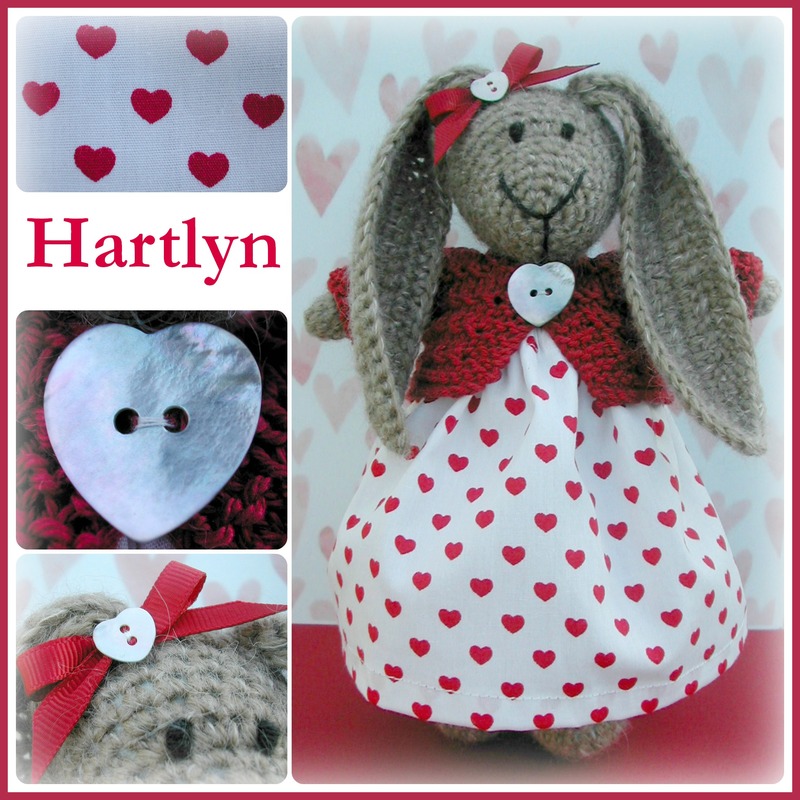 This little hare with all her hearts is Hartlyn, which means ‘full of love’. 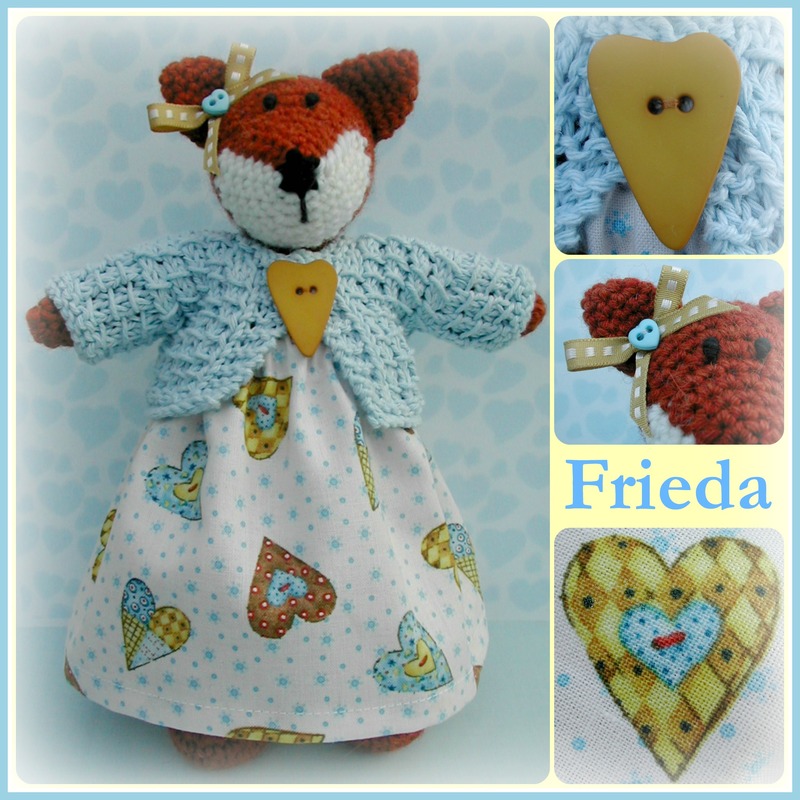 This month’s fox is Frieda and her name means ‘beautiful, beloved’. 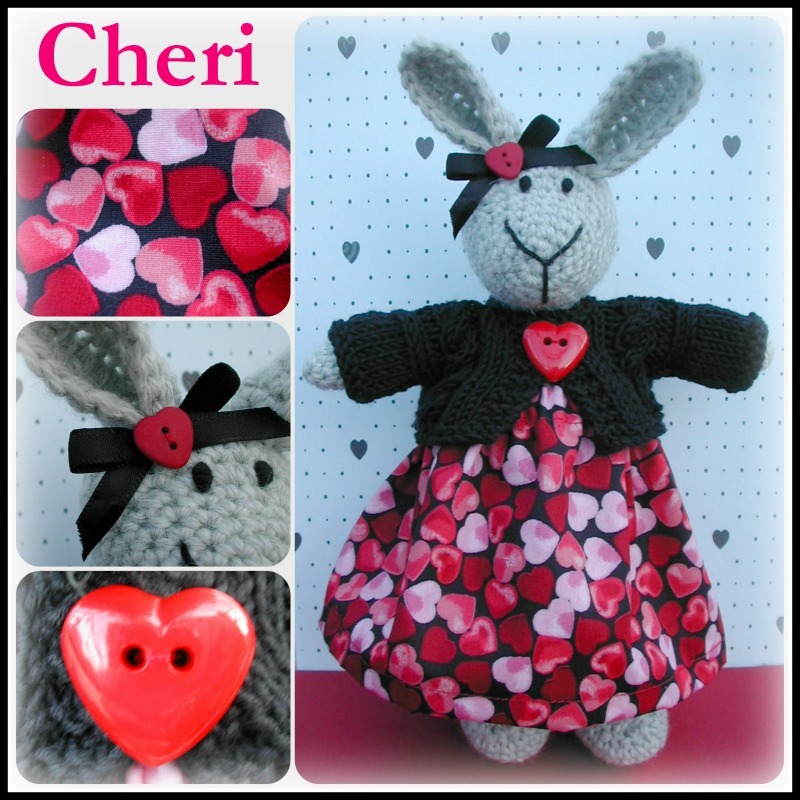 ‘Dear one, darling’, is the meaning behind Cheri’s name. 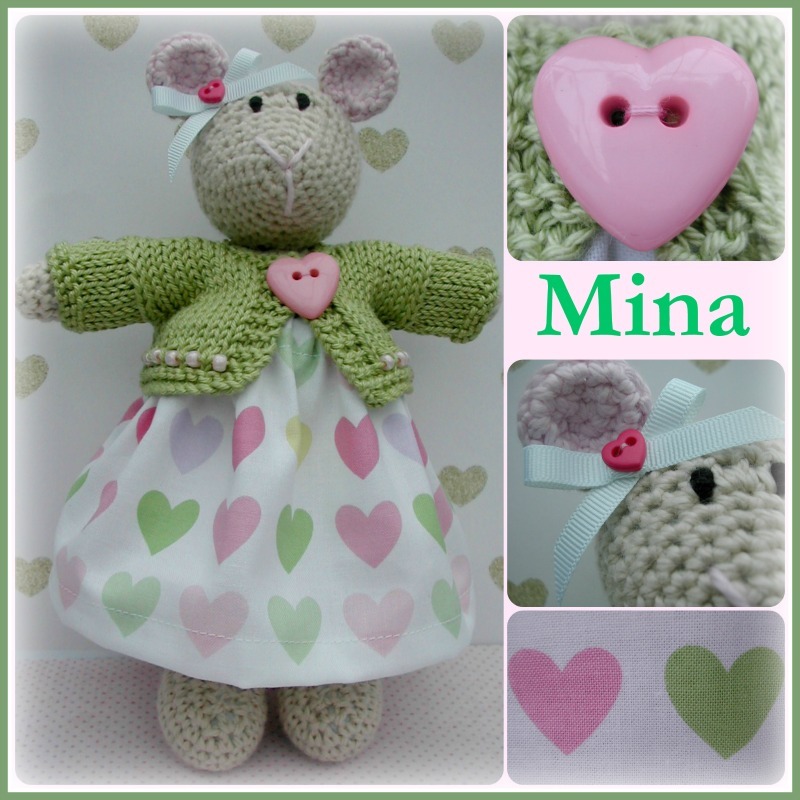 Mina Mouse’s name has a German meaning and it simply means ‘love’. 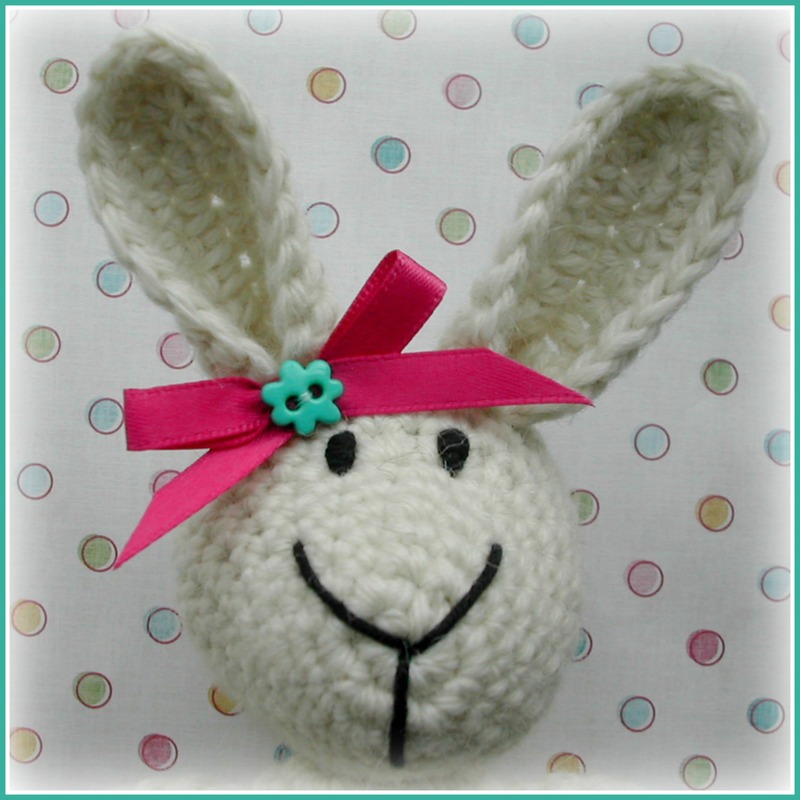 And the final little lady for this month is Darlene which means ‘little darling’. As I’m sure you’ve guessed by now with all the name meanings and the abundance of hearts that altogether these little creatures make up the ‘Valentine Girls’!! The ‘Valentine Girls’ will all be listed in my Etsy shop this evening, Monday 25th January at 9pm GMT. 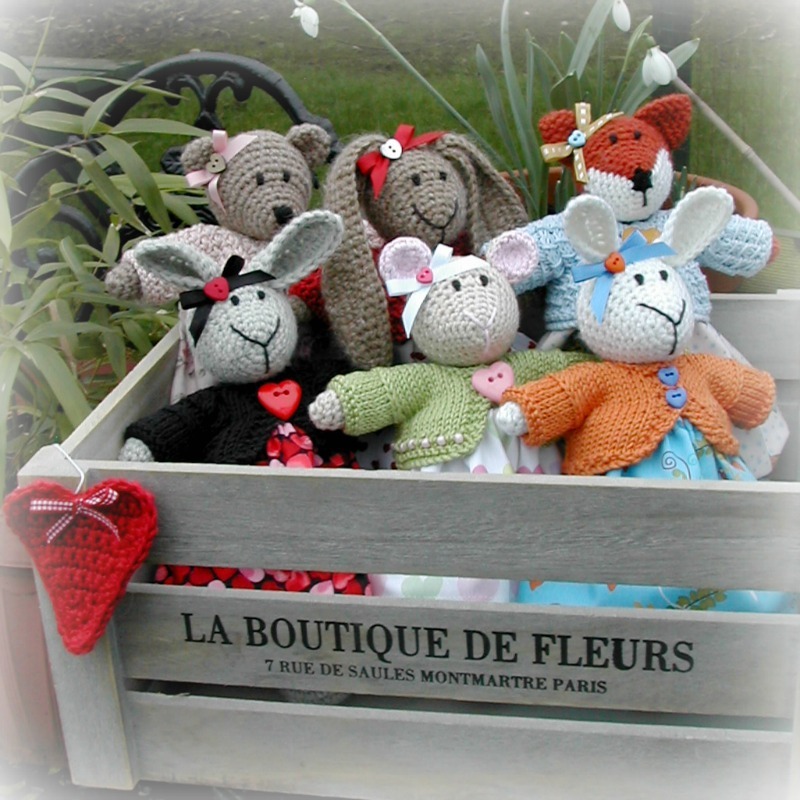 Please remember that they are collectible artdolls and are not suitable for children under 14 years. More details about them can be found here. Thank you so much to everyone who has followed me over here to my new blog, thank you for changing your settings and blog rolls etc. The old blog is still exists at the moment but it will eventually go so my old wordpress.com address will then disappear. Thanks too for all your encouraging comments on the new look. 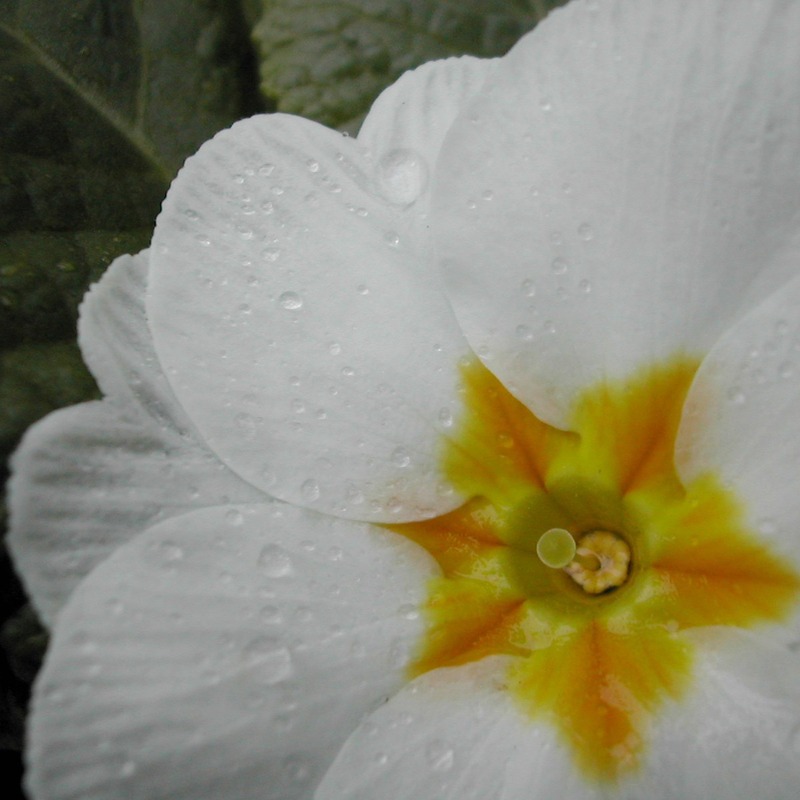 Thanks as always for dropping by and enjoy the last week of January!